This layered necklace, from the Honora Aurora collection, offers a double delight! 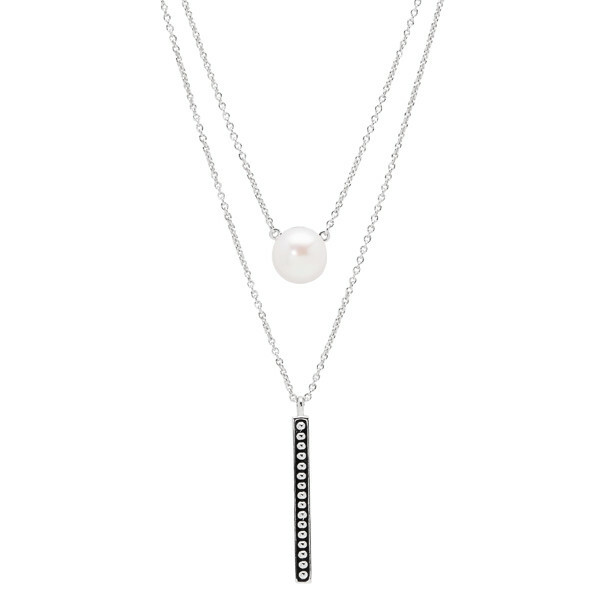 Crafted in sterling silver, one chain presents a 10-10.5 white button freshwater cultured pearl, while the second, suspended beneath, hangs a vertical bar embellished with polished dots popping from a darkened precious metal background. This Honora necklace with dual elements is twice as nice!